After a holiday season full of parties, outings, and lots of food and drink that you may not normally have during the rest of the year, January usually brings hordes to the gym and other activities to get your body moving. As you know, I am a fitness instructor and sometime runner who loves to keep active and help others with their fitness and health goals. Mainly because I spent 20 years of my life under the belief that I should not exercise strenuously because of an injury to my knees when I was 15, so I spent my time giving myself excuses to not workout and was overweight and unhealthy for a large portion of those years. It wasn’t until an athletic therapist and chiropractor discovered that the reason for my knee pain and aggravation of my chondromalacia patella (softening of the cartilage under my kneecap) was mainly because of my patella not tracking properly and the amount of pressure I was putting on my knees because of my weight. After some therapy and getting non-surgical treatment to rectify the patella I found myself in a world of possibilities where I worked to become a runner and get my fitness certification. Even though I’m able to do a lot of things that I never thought I’d be able to do for fear of knee dislocation and pain I’m still cautions and use orthotics, knee braces and infrapatellar bands when I teach and workout to make sure my knees don’t suddenly decide that they want nothing to do with what I’m doing. 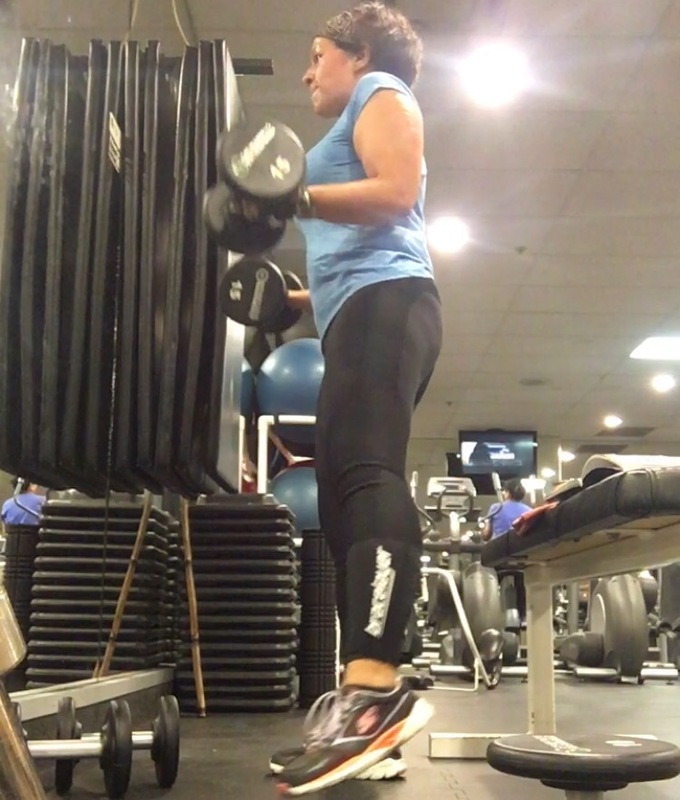 I’m very happy with my active lifestyle but still find that wearing those knee braces are sometimes uncomfortable, for example having to stop periodically during a run to adjust or pull them up because they’re slipping down your leg, or because you can’t bend the knee when you’re squatting because of the pressure. For anyone who has ever had “knee issues” you probably know what I’m talking about. I also love the feel of compression socks for running, they feel like a hug! 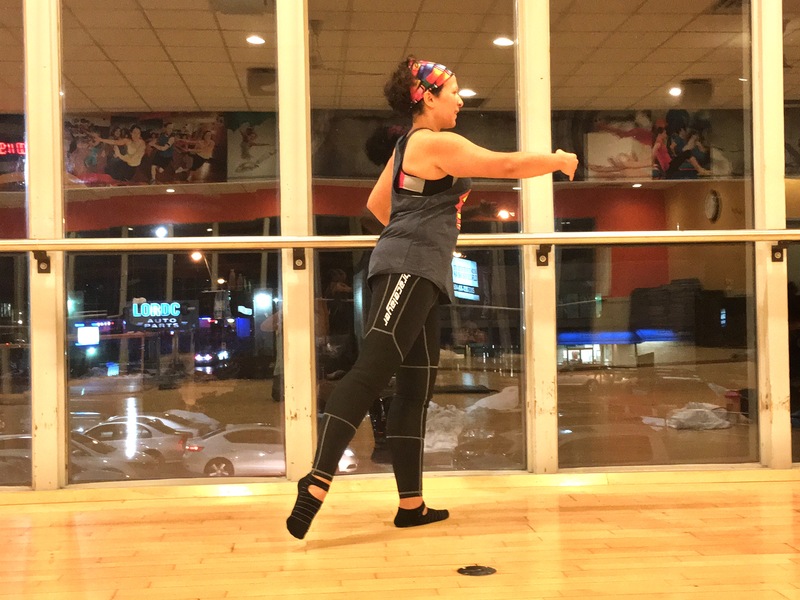 So I’ve tried some muscle support crops or workout leggings from different brands to see if I could stand to not wear the knee braces. Sometimes, like when I do a dance based workout, those pants would be ok but other times, like when I’m at a fitness conference for 6 hours or when I teach or workout for a longer period of time or a more strenuous workout or class, the knee braces have to come on in all their bulky glory. So when one of my fellow fitness instructors mentioned to me that there was a company that made compression and stabilization garments specifically made for knee support I was excited to try them. Anything to help my knee traction without the bulky and uncomfortable feel of a knee brace! BraceLayer™ is a new company founded just a year ago in January 2015. 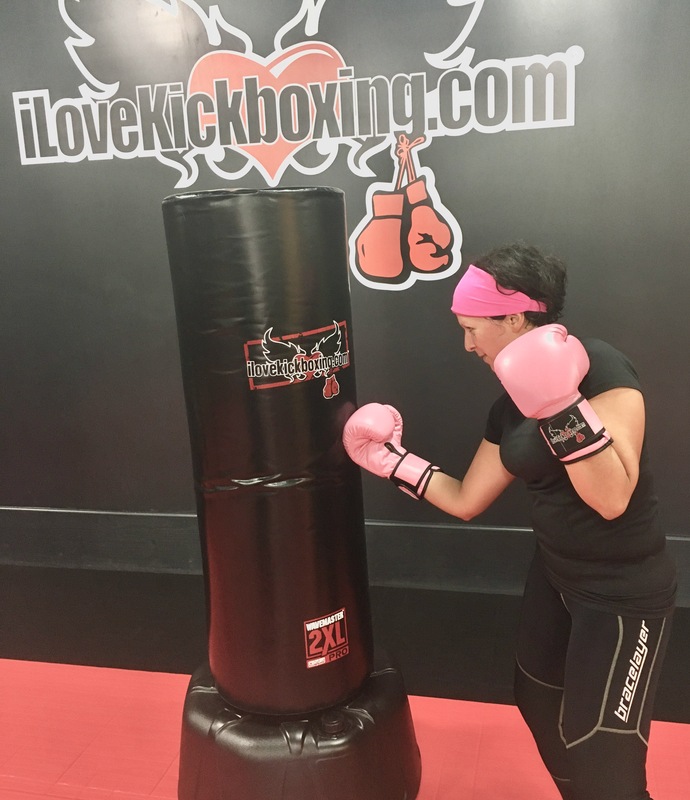 Their knee stabilizing compression pants were designed in Whistler and tested in Whistler Blackcomb (just that fact made me want to try them out!). Their designs “incorporate a thin layer of perforated neoprene to provide support, stability and protection to the knees, thighs and hips”. This explains their name as well, there’s literally a stabilizing brace layered IN the pants! Not only in the knee area but the IT band and lower back (sacroiliac area) as well. The KX2 model extends to the hips and lumbar area and is a higher rise plus a stronger and more supportive antibacterial compression layer. I tried both. As with any online purchase, when buying your first pair of Bracelayer™ pants make sure to check the sizing chart, you want your pants to fit you perfectly. A good thing to remember is that you may need a little bit of a breaking in period. The pants need to be put on like a wet suit (or like pantyhose), they come with instructions for putting them on and for washing, they should be snug around the support areas so a little tightness those areas for the first 10 minutes or so is to be expected but I found that they quickly molded to my body and every time I put them on I found that it was easier to get them all the way up. After mastering the getting them on part, it was time for testing. Saturday: Strong by Zumba in the morning, plus a 30 minute PiYo (Pilates/yoga fusion workout) for testing. 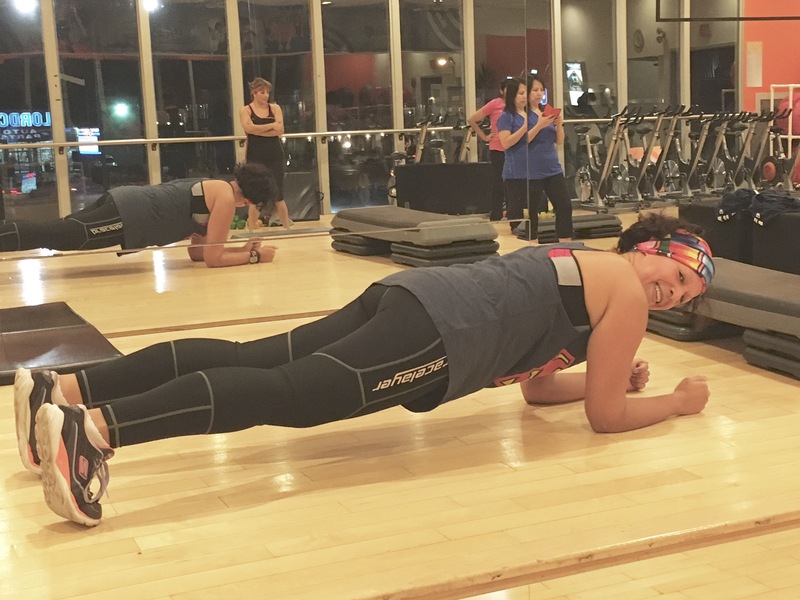 I must admit that it was an unusually busy week of fitness classes for me but I was glad to be able to put the pants to the test. They were magnificent! Seriously! My legs recovered quickly and I experienced no pain! There was a little discomfort sometimes but that is normal for me and the recovery was pretty much non-existent. I had my regular cracking in the knees when doing planks and holding squats but no pain the next day! Just my regular muscle soreness from the workouts. 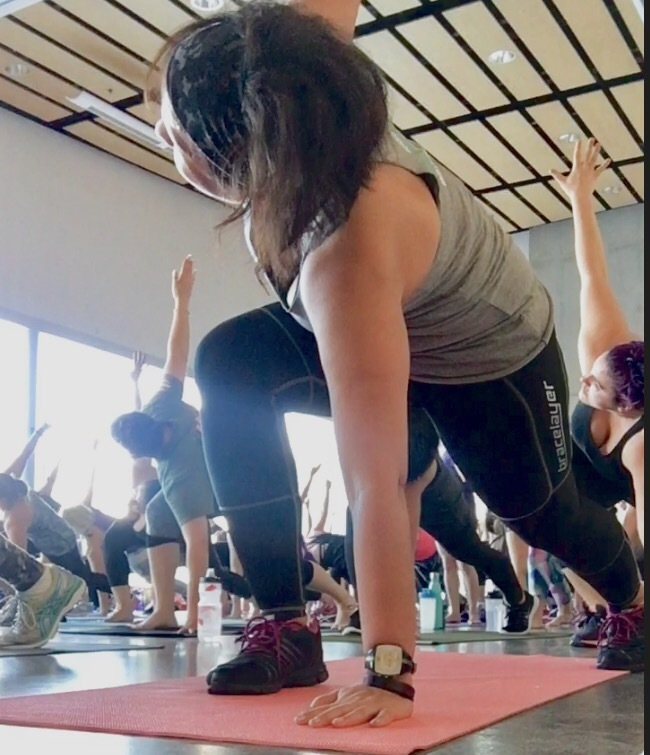 I was able to bend my knees in deep lunges and squats and do high impact exercises without losing the compression or feeling that the pants were falling off. They are pretty much like wearing regular workout leggings so they fit under my custom brace too in case I needed it (I didn’t, but it was nice to know I could slip it on). Let me also point out that the pants have antimicrobial properties to keep them odor free so you don’t need to wash them that often. I washed mine after wearing them for that full week (just because I didn’t want to be that person who never washes her pants) but I think I could’ve worn them for a full second week before washing, even if I was sweating in them daily. Both models are awesome, I found that the KX2 was better for those super high impact days where I taught 3 classes and needed the extra support. And, overall, I loved them! The only thing I would ask them to do is to please make them in more fun colours 😋 (I love my bright patterns!) But for now I’m very happy to have several pairs of the black, plus they’re bringing a lighter crop for the spring season and can’t wait to try them during an outdoor summer run. 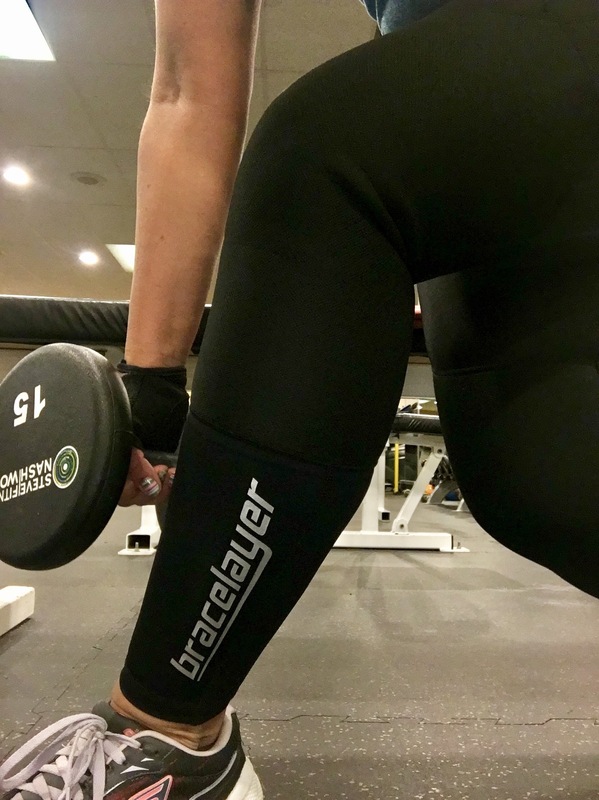 BraceLayer™ pants are available through their website at and they have free shipping in Canada and the US, the prices are about the same as other athletic wear companies that don’t have the features that these pants do so I think they are super reasonable. Their website is also full of information about the garments and, if you can’t find what you’re looking for, their response time to emails is quite fast. They have a 30 day money back guarantee return policy as well but I’d be hard pressed to find anyone who doesn’t fall in love with these after their first workout. Thank you, BraceLayer™, for making these to give my knees the love and protection that they deserve! Do you want to try a pair of their original model? Our friends at BraceLayer™ have a pair of pants to give away to a lucky Vancouver Bits and Bites reader! Winner will be picked at 5pm on January 25th. Good luck! I’d probably wear a small based on their sizing, but could be a medium! I’d wear these to barre fitness for sure – my IT bands get a workout there!! I’d wear it playing soccer! 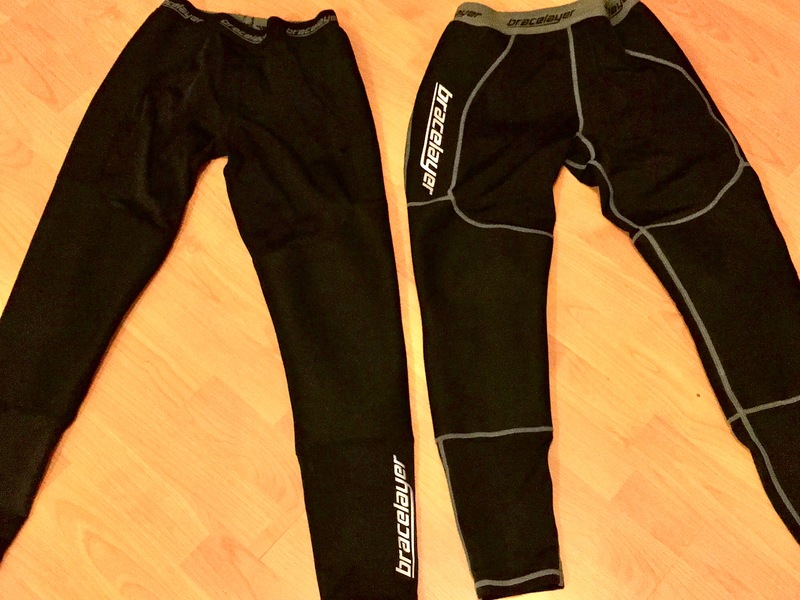 I would choose the Men’s Knee Compression Pants for running. Not positive if they’d be small, but likely. I’d get a men’s in medium for working out in the gym.